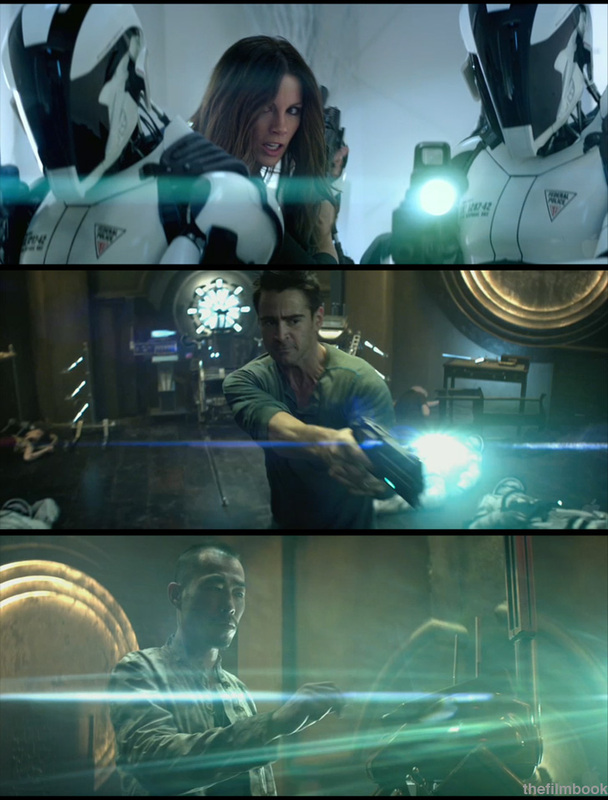 Total Recall was shot in 5K with a Red Epic camera & Panavision anamorphic lenses. It is interesting to see what anamorphic lensing looks like with the Epic. I love flares, I love anamorphic & I love the characteristic horizontal flares from lenses with front anamorph elements. This blue-green streak has become part of the cinematic vocabulary, as exemplified here. Director Len Wiseman’s remake stars his wife Kate Beckinsall & Colin Farrell, with cinematography by Paul Cameron. The original 1990 classic by Paul Verhoven starred Sharon Stone & Arnold Schwarzenneger, and successfully evoked the confusion between reality and dreams. These images are from the trailer.